Yes, I took a little time off of everything, though I couldn’t totally get away from genealogy. As we visited my husband’s hometown and planned on seeing some of his ancestors’ graves, I got a little carried away on Find-a-Grave then proceeded to map out some good chunks of his own ancestry! We also visited the George Eastman Museum in Rochester, NY, where we were able to enter the research room (my favorite part, of course). This reminded me of my recent trip to Guilford, CT when we visited the Henry Whitfield House. They, too, had a research room, available by appointment. I have to wonder how many museums out there have research rooms or something similar. These rooms most likely will not be featured prominently on the museum website, if at all. So my tip is: ask! Find out if there is such a room, how it can be accessed and what its holdings might be. Who knows? You may find something you’ve been looking for. Find out the research rooms in your local museum! 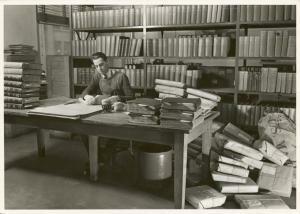 Picture courtesy New York Public Library. Next week, we’ll return to exploring my ancestors; I’ll be much more refreshed by then! This post has been updated to correct some errors. To find out more about the Redmans, click here. I last touched on the Redman name in this post about Seth Billings and Jerusha Redman. Since then, I’ve learned a bit more about Jerusha’s heritage. I’m going to start from the earliest known Redman, because it’s going to get really confusing! The first Redman I know of was named Robert (he will be Robert 1), who in 1662 laid out 200 acres of land in newly-formed Milton for the ministry of the church. Robert 1 died in 1678. Robert 1’s youngest some was named Charles. Charles lived in Milton and on February 10, 1688, married Martha Hill of Dorchester. Just two years later, Charles was among many soldiers from the Dorchester area that served under Captain John Withington in an ill-fated expedition to Canada (likely as part of the many French and India skirmishes). At least forty-six of his regiment, including Withington, were lost at sea. Fortunately Charles himself survived the entire experience. Charles and Martha had at least six children by 1700, listed in Huntoon’s History of the Town of Canton…: Robert (he’ll be Robert 2) (born March 30, 1694), John (born May 8, 1696), Mary, Martha, Mercy (born July 8, 1698) and Thankful. March 1, 1704/05 was a significant date in Redman family history: Charles began a lease of land from the Native Americans, who had been granted an area of land called Ponkapoag (also spelled Punkipog and other various spellings, as you can imagine) in what is now Canton, MA. (There was a five-year period from 1715 when Charles did not lease this land, but it was back in his hands in 1720.) Apparently Charles cultivated some apple trees here. Robert 2 grew up and took on the responsibilities of a man of his time: he married his wife, Mary Kennee (or Keeney) on August 1, 1722 in Boston by Samuel Checkley, Esq. By March 22, 1725, Charles had passed away, as referenced in a deed of Ponkapoag land from the natives to Robert 2 and the other heirs of Charles. Exactly how much land went to the others, I am not sure, but Robert 2 was appointed the administrator of Charles’s estate on June 14 of that year, so he probably was the one to make that decision. Robert 2 continued to improve his land by building a sawmill along Ponkapoag Brook, one of the first mills in that area. In 1726, he opened his home for use as the community’s first school. I have to wonder who taught at the school–was it Robert himself, or maybe someone in the church? Redman Farm was not the only land that Robert owned. In 1737 he received a grant of land in the “Dorchester Canada” settlement, which is now Ashburnham, Worcester County, MA. This grant was among many that were given to the descendants of Withington’s 1690 Canada expedition. It seems that Robert 2 must have sold this grant, since it is not mentioned in his December 18, 1657 will. Robert; died in childhood, October 6, 1731. Sarah; died in childhood, March 19, 1725. John, born September 20, 1730, died unmarried June 6, 1761. Robert 2’s will implies that he must have had issues with this son: firstly, he left him just five shillings, then stated that, out of is wife’s Mary’s half of the estate, John could have “two fifths of [the] remainder if he behaves well and dutifully to his mother during her life”, otherwise she could distribute it as she saw fit. These statements and seeing how soon John died after his father’s death makes me wonder about John’s lifestyle. However, John did make a will that left everything to his mother, so I suppose that in the end, he was “dutiful”. Robert, married Mary Dunbar on April 23, 1767; died 1778 with no children. Sarah, born August 10, 1732; married Jonathan Kinney; died before December 1757. She had two children. Martha, married Nehemiah Liscom on October 9, 1761; died before September 1763 with no children. Jerusha, born January 31, 1735; married Seth Billings (probably in early 1750), then Nathaniel Pitty on March 15, 1789. She had four children. I had wondered how she had carried on after Seth’s death in 1766; now I know that her inheritance must have helped. Mary, married Thomas Spurr, Jr. on August 15, 1744; died early 1780. She had ten children. 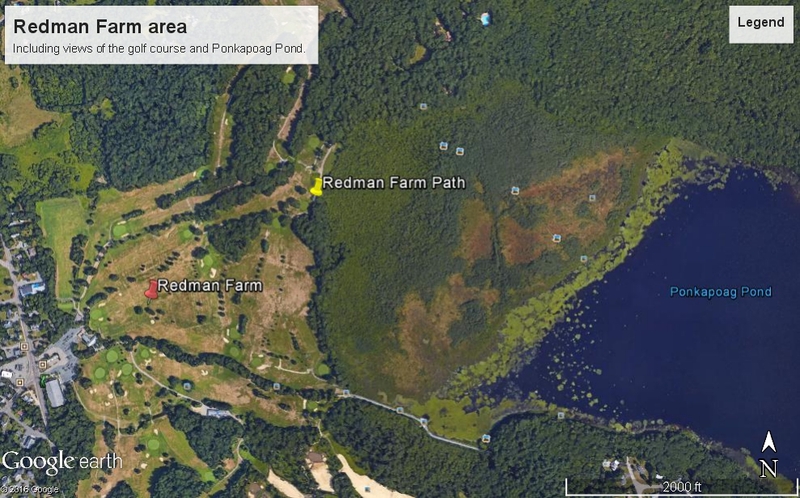 As a final note, the location of the lands of Redman Farm is at the Ponkapoag Golf Course in Canton, MA and includes part of the Ponkapoag Trail, which is open for public hiking. In fact, the left portion of the trail is called “Redman Farm Path”. I would love to walk on this trail some day and think about my ancestors who may have walked here as well! The grounds of Redman Farm today. Courtesy Google Earth. 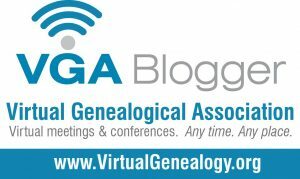 A couple of weeks ago, I decided to take a genealogy stay-cation, particularly to do those “little things” I’ve been wanting to do for quite a while. One of those things was to visit the Milstein Division of the New York Public Library, which houses their amazing US History, Local History and Genealogy resources (in other words, “paradise”). The NYPL has a ton of stuff online, but I wanted to see what offline resources they have. I had the perfect opportunity when I found out that they held some books that I couldn’t access elsewhere. I originally found my books via Google Books, which sometimes shows a snippet view, just to tease you! (Actually, it is very helpful, or else I wouldn’t know if the book is relevant or not.) Clicking on the “Find in a Library” link brings you to WorldCat.org, which lists the libraries where the books are available. And did you know that you can sign up for a free WordCat account, where you can create your own lists that are annotatable? That’s exactly what I did — I made a “NYPL” list to capture each book. Then I looked up the call number in the NYPL (just by clicking the book’s NYPL link in WorldCat) and noted it under each book on my list. I just printed the list to take with me; I suppose I could have saved the list as a pdf into Evernote as well. Another way I prepared for the trip was obtain a temporary NYPL card, which is necessary for any pull requests. If you are not a New York City resident, then you can get a temporary card that is good for three months. First I registered on the website, which set me up with a patron account. 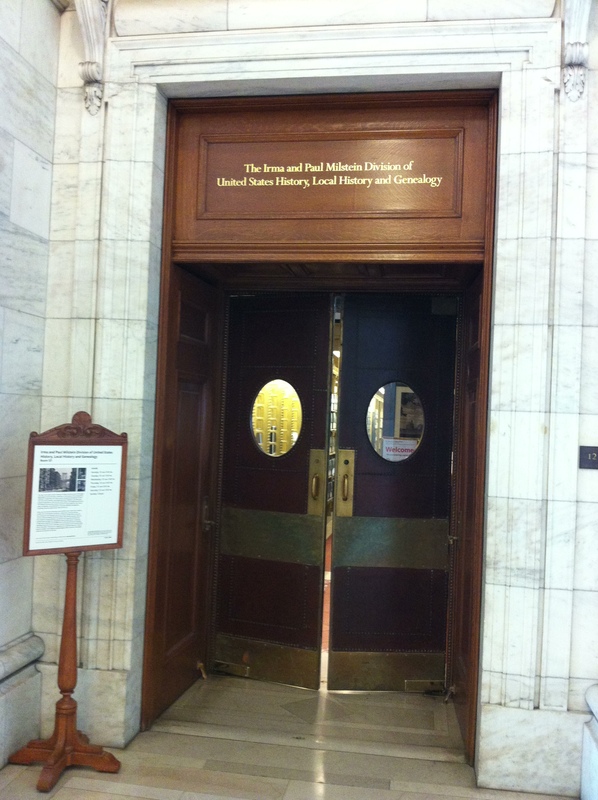 When I arrived at the NYPL, I had to go to a room on the second floor (Customer Service? Customer Relations?) to finish the process. If you’ve already started the process, all the staff has to do is look you up and issue your card! 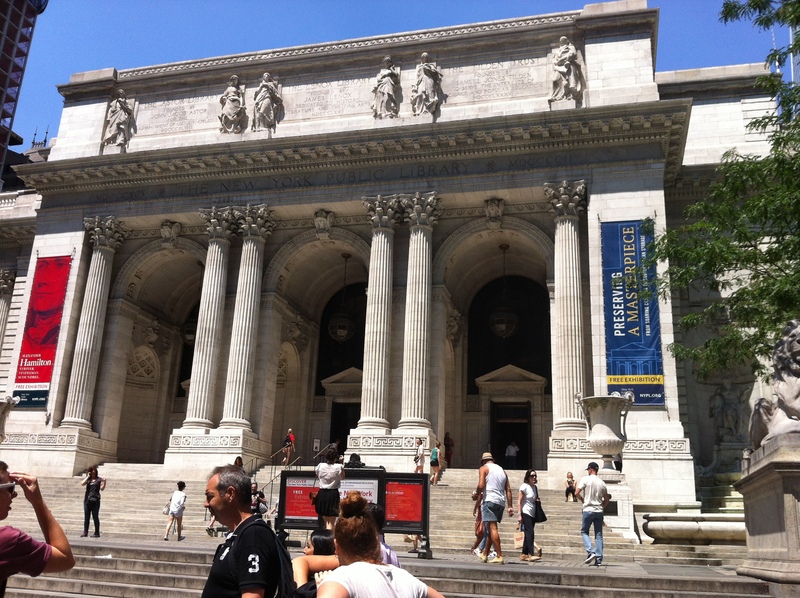 First, the library is so convenient to get to — just two blocks from Grand Central Station! And there is a Starbucks right between the two, which I hit afterwards. Welcome to the New York Public Library! Author’s collection. You are about to enter the Genealogy Zone… Author’s collection. First let me describe just what is here. This room holds books and boxed papers. Some of the papers seem to be donated collections, which probably need to go through the request process (I just skimmed through the box titles). The variety of books amazed me. 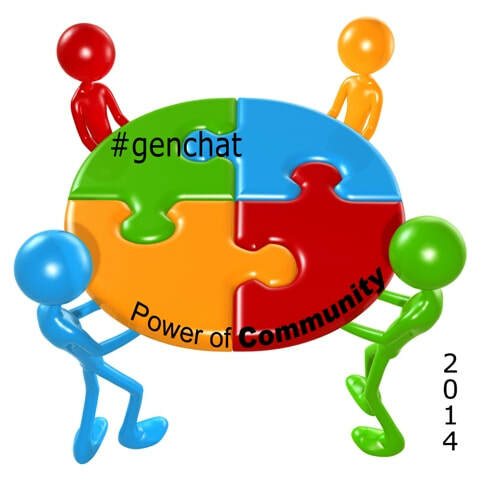 There are years’ worth of publications from NEHGS, NYG&B and more. There are directories, ship manifests and civil war indexes. There are sections on African-American, Latino and other ethnic genealogies. And of course, there are books on history. What interested me most, however, were the surname books, which were on my list. Unlike the other books mentioned above, they needed to be requested to be pulled by a librarian. For each book, I had to fill out a little faux-carbon form with the book information and call number (thank you, WorldCat list! ), and the librarian gave me the yellow copy as she pulled the books. If I were to win Powerball, I would buy the NYPL Milstein Division a brand-new copier with a new credit card reader. Although the copier made fine copies, the cover was almost falling off and the card reader kept timing out on me so often that my credit card stopped working. (It’s supposed to make up to $5 worth of copies, but I never got that far.) Fortunately my debit card worked and the librarian helped me out a little (with plenty of empathy…and by the way, the library staff was SO helpful at every juncture in the process). Once I hit my stride, I stopped timing out so often. There is a note on the copier that says it does take USBs and digital copies are free (I didn’t think to bring a USB beforehand), but it doesn’t accept all USBs. Either way, I’m glad I made hardcopies so I could write notations for myself. There is actually a very nice book store on-site that sells all kinds of books and gift-type things like mugs and tote bags. And there happened to be an exhibit about Alexander Hamilton that included original documents in his own handwriting; I figured since I was there, I’d take advantage of the opportunity. There are so many other departments at the NYPL: the Microform Room, the Manuscript and Archives Division, the Rare Book Division and the Map Division, to name a few. Someday I may get to visit these as well!